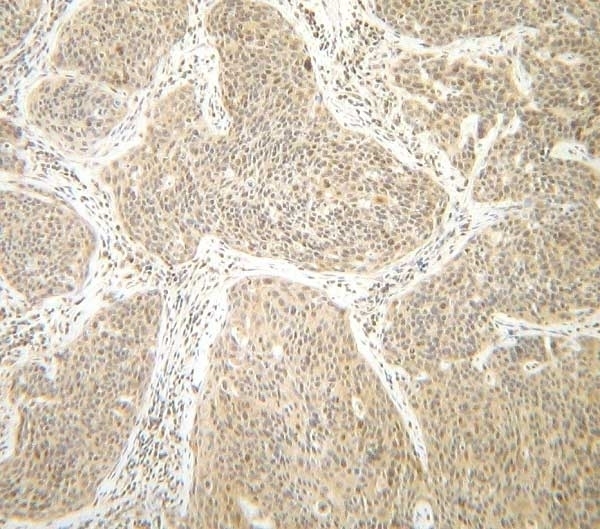 Rabbit anti Human Interferon gamma antibody recognizes human IFN-gamma (Interferon-gamma), a 143 amino acid regulatory cytokine and member of the Type II interferon family. IFN-gamma is involved in the regulation of the immune and inflammatory responses and is secreted primarily by mitogen and antigen activated T lymphocytes and natural killer cells (NK). IFN-gamma is a multifunctional cytokine which signals through the IFN-gamma receptor (IFNGR), found on most immune cells. Properties of IFN-gamma include recruitment of leucocytes to sites of infection, inducement of MHC class I and II antigens, stimulation of anti-microbial and anti-tumour responses of macrophages, Nk cells and neutrophils, and has also been shown to potentiate the antiproliferative effects of IFN-alpha and IFN-beta. Reconstitute with 0.5ml sterile PBS containing 0.1% Bovine Serum Albumin. Reconstitute with 0.1ml distilled water. For long term storage the addition of 0.09% sodium azide is recommended. NB. For functional studies do not add azide. Antisera to human IFNγ were raised by repeated immunisations of rabbits with highly purified antigen. Purified IgG prepared by affinity chromatography. IgG concentration 0.1 mg/ml after reconstitution. This biotinylated human IFNγ antibody may be used in a direct ELISA or as the detection reagent in a sandwich ELISA with our purified human IFNγ antibody (AHP775) as the capture reagent and recombinant human IFNγ (PHP050) as the standard. 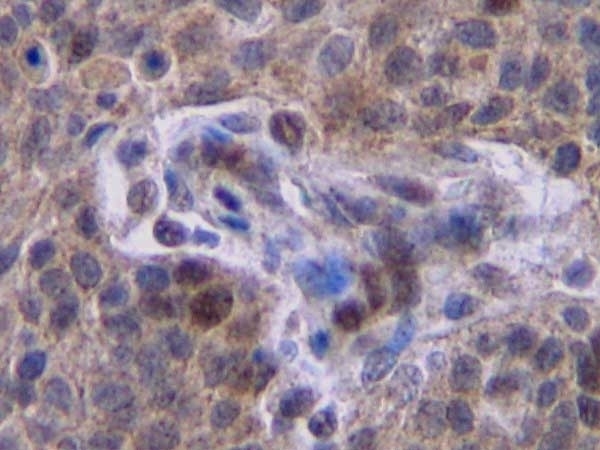 This purified human IFNγ antibody may be used in an indirect ELISA or as the capture reagent in a sandwich ELISA with our biotinylated human IFNγ antibody (AHP775B) as the detection reagent and recombinant human IFNγ (PHP050) as the standard. This antibody may be used in Western Blotting under either reducing or non-reducing conditions with recombinant human IFNγ (PHP050) as the positive control. Rinderknecht, E. et al. (1984) Natural human interferon-gamma. Complete amino acid sequence and determination of sites of glycosylation. J Biol Chem. 259 (11): 6790-7. Goldberg, M. et al. (1989) Regulation of macrophage growth and antiviral activity by interferon-gamma. J Cell Biol. 109 (3): 1331-40.